Raising a large family and maintaining a household are often a very expensive tasks. With tight financial budgets and so many mouths to feed it can become quite stressful trying to budget the necessities. There are many easy money saving strategies you can do at home. All it takes it a little planning and creative thinking. Most people are stereotypical about dollar, but they really are great places for people on a budget. You can pick up most of you household products at dollar stores extremely cheep. Even if they are not name brand, they still work just as well. My favorite is the 99 Cents Only store because you can get name brand for under a dollar. When you're raising a big family, you go through a lot of paper products. When buying toilet paper, Kleenex, and paper towels there are some simple steps to follow to save money. The first tip is to buy in bulk. This is very important because it is cheaper in the long run to spend $10 on something and have it last the month instead of spending 4 or 5 dollars a week and only having it last for a short time. It's also important when buying these products to check the quantity in each product to see which will be of the greatest financial value. With toilet paper and paper towel, see how many sheets and ply's are on each roll and compare it to the price to find out which product will be the best value. The same rule goes for Kleenex. Check to see how many sheets and ply's are in each box. Saving money on the household grocery bill is very easy. As I've mentioned before, coupons are a life saver and here are some great tips for using coupons. Coupons really do save so check your paper every Sunday for the money saving coupons. It is always a good idea to look at the different store ads for the best sales each week. Find out which sales will suit you best and they make out a weekly dinner plan according to what the store has on sale. Making weekly menus is a great idea because it gives you a guide when shopping. It is easier to get exactly what you need without coming home with any extras. There are many simple habit changes you can make when shopping to easily save your household money. This will leave more money for more important things, whether it's paying bills or having a few extra dollars for a family activity. Always pay attention to the products quantity and price to find the best money saving deal. Reducing the household cost is a simple thing to do with just a little extra planning and creative thinking. 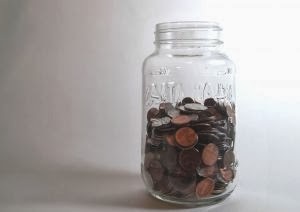 What are some ways you save money in the household?